02 Warming Up (If longer than 3 minutes); also see error code 50. Replace DC power supply/Main motor driver assembly. Remove I/O cables. Incorrect cable hookup or bad I/O port in computer. Defective Display cable, defective display or formatter PCB. 1. Paper tray empty or not seated correctly. 2. Paper sensor arm stuck or broken. 3. Replace paper control/sensor PCB. Check DC power supply voltages or replace DC power supply. Tab missing on top cover. Check that PS1 (paper sensor) is blocked by the Latch Flag. Replace PS1 if defective. Check fuser bulb turn on. If no fuser bulb turn on reset SW101 on AC power supply. Plunger missing on top cover. Bad fan, PS4 or PS5. External fuser access door not closed. Media (paper) out of specification. Dirty or obstructed paper path. Wrong length paper or incorrect S/W paper size selected. Worn pick up rollers and/or separation pad. Rear paper guide door needs adj. If no jam visible, replace cable between fuser and DC controller. Check duplex paper path for blockages. Maladjusted or bent Switchback assembly. Transfer roller guide not seated. 13.1 internal – Check registration area, Fuser exit sensor flag and sensor. 13.2 input – Check paper Input section and paper refeed from duplexor. 13.3 duplex – Check PS4 or PS5 in duplexor switchback assembly. 13.4 Output – Check PS7 in output area. Optional power stacker. 14 No EP cartridge or No toner cartridge. Is there at least ONE sensitivity tab on the 92295A toner cartridge? Bad toner cartridge – missing both tabs. Switch actuator bent, support tab in upper right corner of DC Controller PCB bent or not installed correctly. Replace high voltage power supply. Computer and printer may be set to different baud rates. Reset printer by pressing the continue key. Power off for 20 minutes to allow the capacitor on the DC controller to fully discharge. If you don’t allow this capacitor to discharge, you will still get a Error 50 even if you have fixed the problem. This may clear the error – either temporarily or permanently. If it clears the error it was most likely caused by a low power problem i.e. low line voltage causing the power supply circuits to drop out of regulation. Low/unstable power (low line voltage, brownout condition). If it doesn’t clear the error you may have one of the problems listed below. 50.X FUSER ERROR alternates with For help press ? This error usually indicates a defective fuser. It could be due to a faulty thermistor, heating element, or loose or open connection to the fuser. Sudden occurances are almost always the fuser assembly. The fuser assembly may be hot, allow to cool before removing it from the printer or injury may result. May be temporary error. Power printer down for 20 mins and power it back to see if error persists. Make sure fuser is correctly seated to AC power PCB. Listen for motor noise from scanner assembly and look for LED 003 on DC controller to light up. Not enough optional memory installed for Postscript option for the application being used. Verify SIMM’s are seated properly, replace defective SIMM’s or install add’l SIMM’s. FONT cartridge removed during formatter access. Recycle printer power. This message indicates that the printer has printed 200,000 pages and the user installable maintenance kit must be installed. for resetting the page count back to zero. 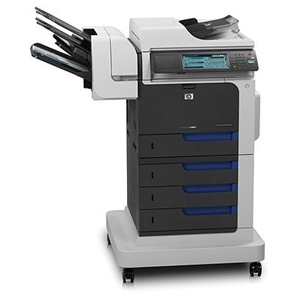 The HP part# for the 200K page IIISi, 4Si maintenance kit is C2062-69001.